Oozing with style and deluxe retro appeal. 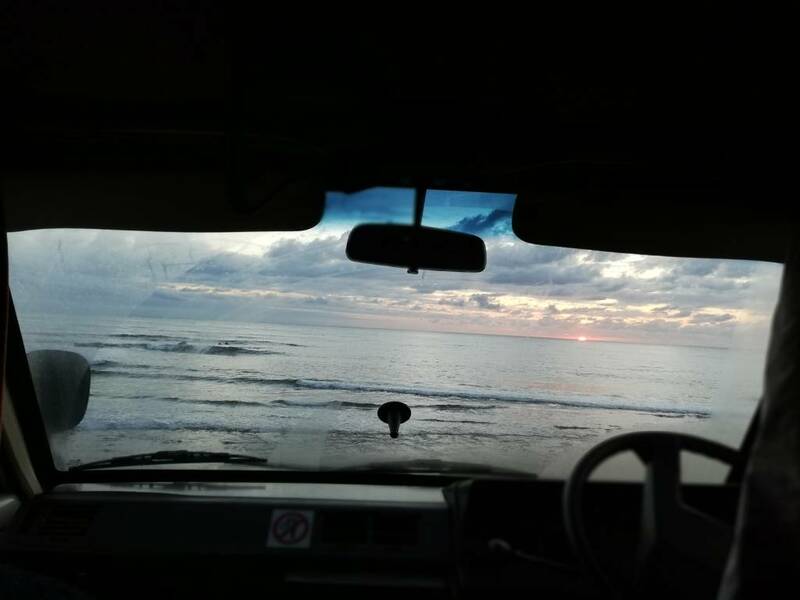 Bernie is an older retro van so will give you a unique experience, he is a real classic and needs to be looked after. Awesome vehicle to cruise in and take your time. Not the right vehcile for a rushed trip. Bernie is a very well kept individual, ideal for couples but has also done well with 4 plus a tent. Petrol 5 speed manual, drives smooth as, quad stereo for quality sound while driving or kicking back. Can have Garmin navigator on request also toilet possible and has been used before if needed.. Sink inside with electric water pump and oversized fridge. I had a amazing time with Bernie. He did very well.. If I had questions Collin was always available to respons. I would definitely hire Bernie again, and he is also very good in checking the waves! We had the best time cruising around Victoria with Bernie! He really is a handsome one, collecting compliments from fellow campers all the time. He is a trusty vehicle and for his age he doesn't have many kilometers at all. For young folks like us (also not used to driving on the left) it took a couple of minutes getting used to driving him but after that it was surprisingly simple and we never had problems driving or parking him in nearly four weeks. The pop-up roof is just amazing as it gives you great ventilation (especially at night) and so much space in the van. With the cooker, sink (with water pump), table, bed with bedding, curtains and large fridge you really have everything you need and the kitchen is well equipped for even the most culinary cooking experiments. Of course it is not a new car and the interior is a bit worn here and there. But we didn't mind this at all and thoroughly enjoyed our experience with Bernie. We would certainly book with Colin again and would recommend it to fellow travelers. Colin really cares for his vans and the communication was always quick, before and during the rental. When we had any questions, we got helpful answers within minutes and Colin knows his cars very well and is a really nice guy. 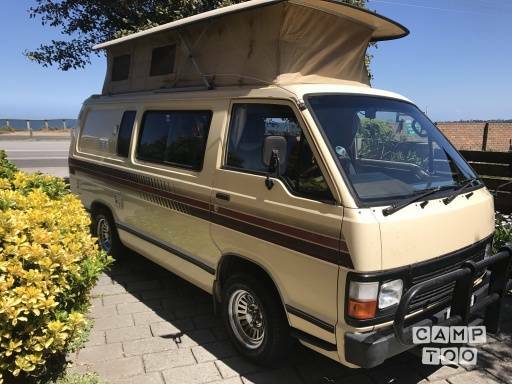 Bernie is an absolute joy - a classic camper that has everything you need. Comfy bed, good curtains, cold fridge and running water. My son and I had a blast. No aircon and 30 degrees was a little sticky but this is old school and we loved it. Perfect for 2 and Colin was terrific. We’ll definitely go again. Bernie ROCKS!!! 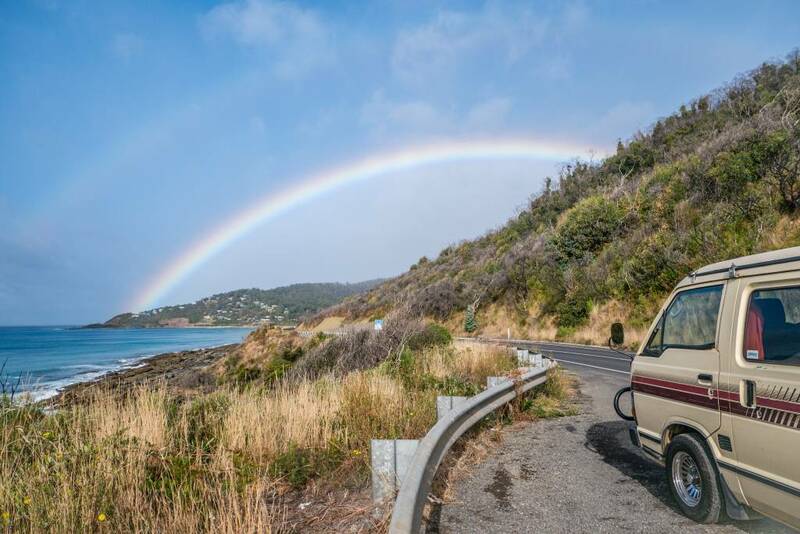 We had the pleasure of driving Bernie up and down Victoria's coast along the Great Ocean Road for 8 days. What an awesome time we had, fun to drive, easy to park and super comfy with everything you need to get away from the city lights. Colin is super helpful and will answer any questions or issues while you're away. We will definitely be booking some time with Bernie as soon as we can get away again! it was great to meet Colin (the owner) and Bernie took us on a great ride around Mornington peninsula where we experienced true Aussie culture. Had a great time and loved our first experience in a campervan. Colin provided everything from linen to a heater and went above and beyond when it came to looking after us. Je kan de camper ophalen in Parkdale bij Colin. Je kan je auto hier gratis parkeren.